Today, in addition to giving a basic overview of the service, we discussed three games. The Captain Is Dead (available in the Original Game Crafter Version) is a riveting co-op experience. The game is an ever escalating series of unfortunate events. 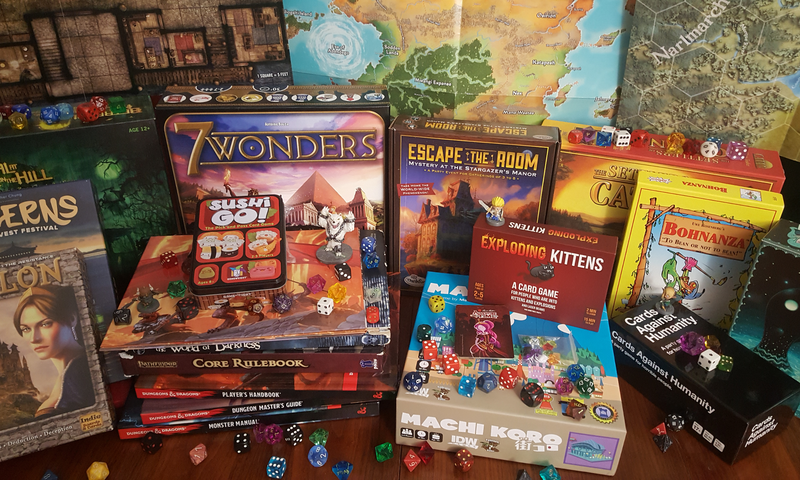 As with all well-designed cooperative games, it can be extremely difficult and can sometimes be a frustrating exercise in constantly falling behind where you started. The variety of playable characters – as well as the unique art style – add charm to the experience. The simplicity and power of the mechanics make me almost wish for more games set in the same world and using the same basic ruleset. Perhaps a more aggressive game wherein you need to defeat enemy ships reminiscent of the PC game FTL: Faster Than Light? 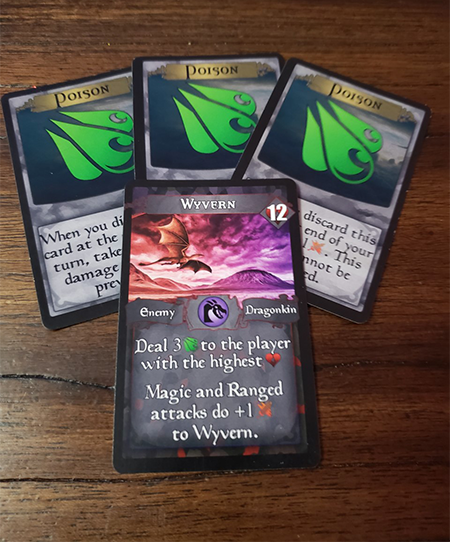 In any case, an excellent game for my money, and an awesome example of how the transition from a Game Crafter game to a fully published release might look. The Fate of the Mortals is a quick play and another great example of the component quality of The Game Crafter. 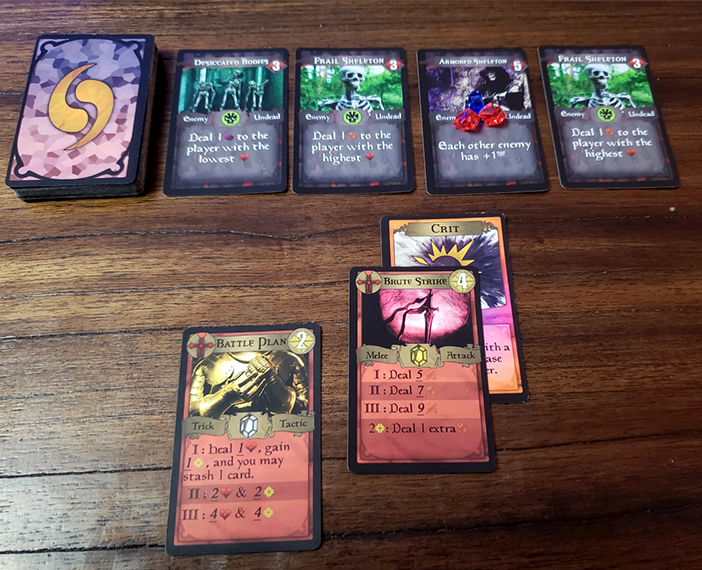 The pieces, while not especially complex or unusual, are quite functional, and the creative use of the dice as pawns that indicate different artifacts with their different faces is a great example of the kind of out of the box thinking that you can accomplish with a platform like The Game Crafter. 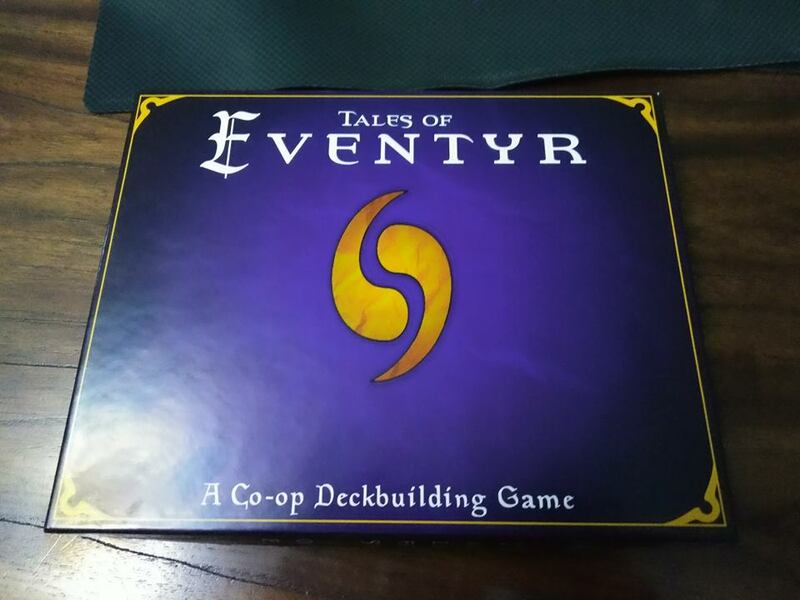 Finally, Jeremy and Timmy Skittles’ baby, Tales of Eventyr, is a cooperative deck building game with some RPG elements and a fantasy theme. 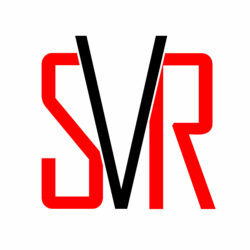 With over 500 cards representing a substantial array of monsters, character races, classes, items and environments, the game is nothing if not an ambitious first foray into game design for us here at Save Vs. Rant, and we hope to make it the first of many. It’s been said that many a man has a garage full of their unsold magnum opus. Not every designer can create a full print run of their game. Nor, for that matter, is Kickstarter the be-all-end-all of funding for the new designer (assuming the new game designer has the social media chops to run a successful crowdfunding campaign at all!). For this reason, we are always pleased and grateful for the existence of websites like The Game Crafter that allow for limited runs and print-on-demand to empower designers to try their ideas and reach for their dreams without having to shoulder massive up front costs. A noble fighter doing battle with a group of fearsome undead.